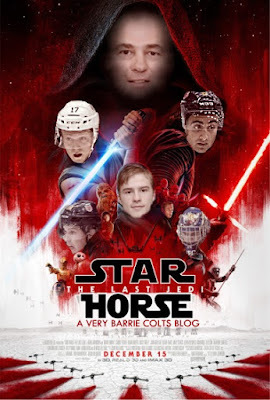 The Barrie Colts in Star Wars: Star Horse Episode. 1 #OHL - Very Barrie Colts | A website covering the Barrie Colts of the OHL. UPDATE: The Barrie Colts traded Curtis Douglas for Aaron Luchuk. Gene Pereira had a great idea and we ran with it. 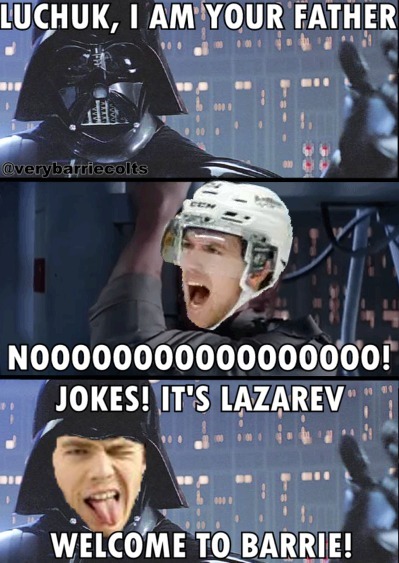 Welcome to the Colts, Luchuk!